Students from the Athlone Institute of Technology (AIT ) recently achieved numerous awards at the ‘Let’s Talk About Drugs’ National Youth Media Awards. The National Youth Media Awards is an annual competition which encourages discussion of drug-related issues by inviting young people to produce a piece of original content relating to drug and/or alcohol use. Now in its fifth year, the competition aims to get young people thinking about the problems associated with drugs and alcohol and find creative ways to talk about them. AIT’s first year pharmacy technician class were recognised in their age categories for their submissions on club drugs and performance and image enhancing drugs. 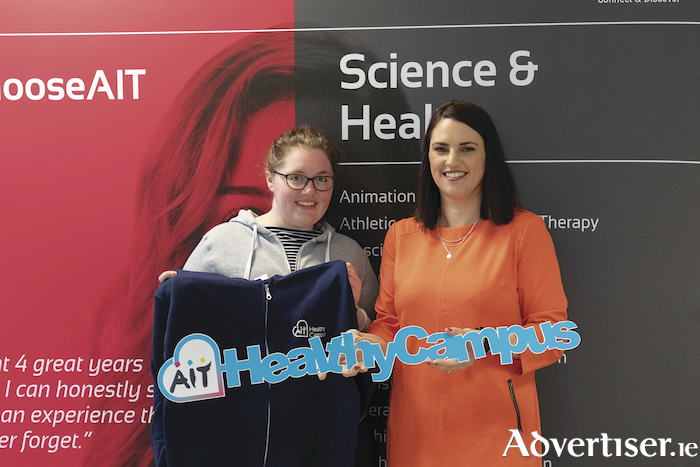 AIT’s Shauna Finnegan scooped up the winning prize in the 18 to 21 age category with a piece detailing the dangers of taking club drugs, the club culture that encourages drug use, and the significant links between substance abuse and poor mental health. Ms Finnegan's classmate, Killian Donnellan, came runner up in the 22 to 25 category with an article looking at the risks associated with performance and image enhancing drugs (PIEDs ). Honourable mentions also went to AIT students Jennifer Byrne and Megan Corcoran. Jennifer’s entry on performance and image enhancing drugs looked at another, often less spoken about, facet of PIED 's use of image-enhancing. Her classmate, Megan, talked about the dangers of club drugs in regards to how psychoactive drugs - drugs that affect the mind and behaviour of an individual - are sometimes used to spike drinks, including odourless and tasteless club drugs like GHB and Rohypnol. Page generated in 0.1075 seconds.